Have you tried kombucha before? 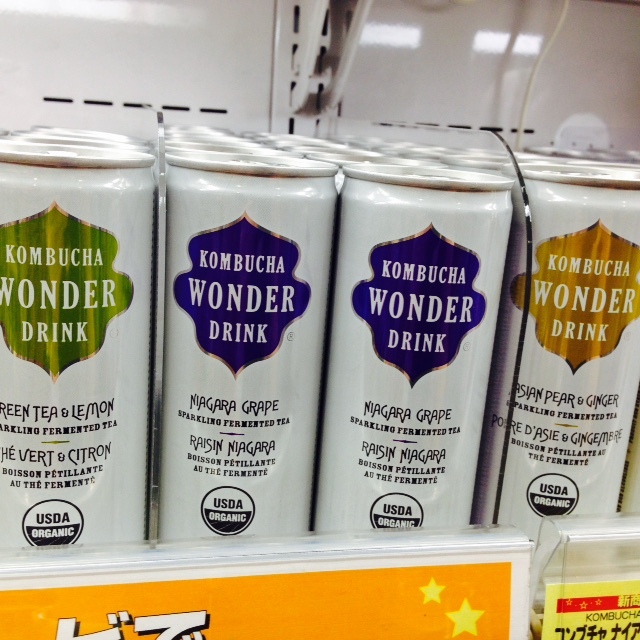 I suppose kombucha you may know could be “fermented tea”, but for Japanese, it’s not. 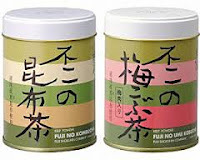 It’s a drink made from powdered kelp called kombu. 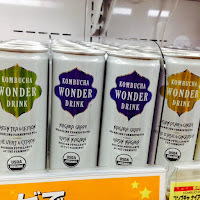 What you call kombucha was popular when I was a kid as “kocha-kinoko”, literally means “black tea mushroom”. Sounds weird, doesn’t it? It was not appetizing AT ALL to me, as a little girl. Due to such a weird name, I remember its existence, but I was too scared to try back then. Recently, I found a canned kombucha made in the US. I am already grown up enough to try, and I did. I did green tea and lemon flavored one. Unfortunately I didn’t taste any green tea, but as a drink it was good. Much better than I expected. BTW, Japanese kombucha is also good to drink and to season foods. When you have a chance, give it a try! It is not known exactly how or where kombucha originated from.The drink was consumed in east Russia at least as early as 1900, and from there entered Europe. The English word kombucha has been in use since at least 1991, and is of uncertain etymology. The American Heritage Dictionary suggests that it is probably from the "Japanese kombucha, tea made from kombu (the Japanese word for kelp perhaps being used by English speakers to designate fermented tea due to confusion or because the thick gelatinous film produced by the kombucha culture was thought to resemble seaweed)."